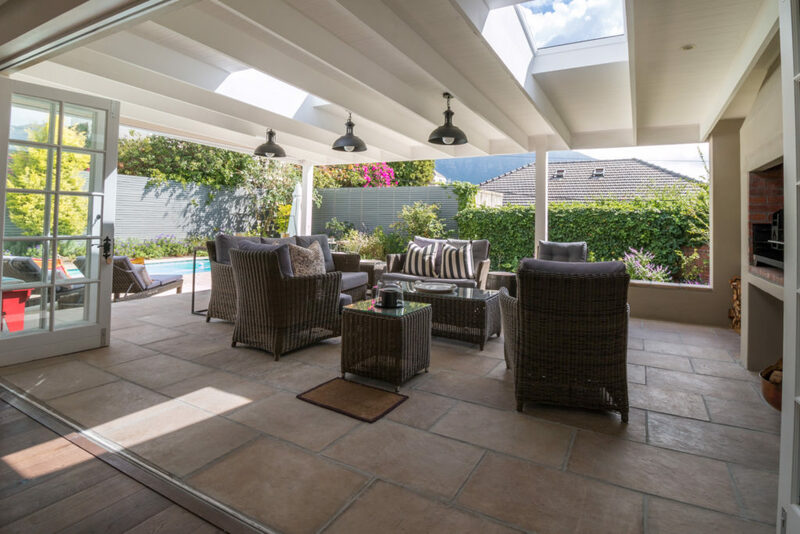 Patios immediately create the feeling of space from within and when covered this has the additional advantage of using this area throughout the year. We all love being outdoors and many love braaiing, but this is difficult in both summer and winter in Cape Town because of the wind, very hot sun and then of course rain. So by covering the patios you create another room and your furniture can then be left outside. Blinds or folding doors can be added either at the time of building or later. Contact us for a quote on patio remodeling. Our house was in desperate need of a complete make-over. After four separate unsuccessful attempts (two architects and two interior designers), we considered ourselves very fortunate to have “found” Wendy. She took charge of the whole operation: from design, to demolition, to rebuilding – even extending to assistance with the final re-decorating. We are absolutely thrilled with the end result and are very proud to show off our “new” home. The whole drastic operation was carried out efficiently and without any anxiety or stress on our part. Wendy was great, an absolute pleasure to work with.